Horses need exercise and this is the topic we have concentrated on for many years by specializing in horse walkers. We are convinced of this form of training and continue to hold to it. However, due to limited space or other reasons, a horse walker is not always feasible. That is why we are expanding our product range. 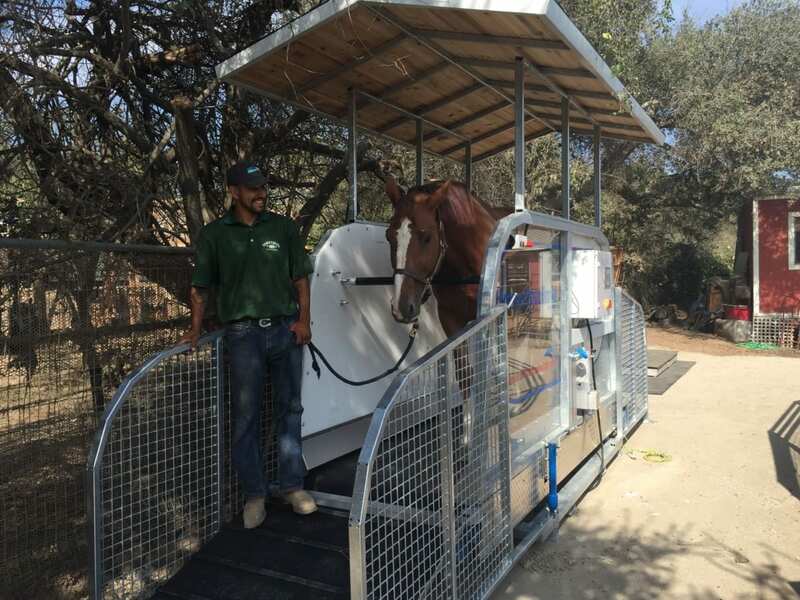 We have developed a high quality horse treadmill in accordance with the newest technology and scientific knowledge. 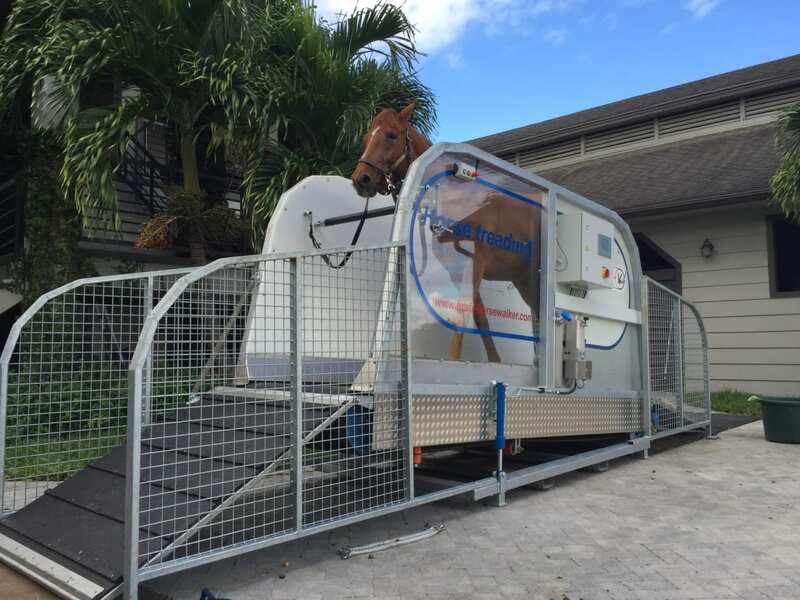 Our horse treadmill offers exercise in a small space and is ideal for enhancing horse training methods. The Kraft horse treadmill is a very good addition to the training of all disciplines. It offers individual adjustments for the needs and demands of both rider and horse. Infinitely variable speeds can be set up to 13 km/h (8 mph). The pitch of the walking surface can be raised up to 11 degrees. Seven pre-adjusted programs have been set in order to ease the handling. A custom training and therapy plan can easily be pre-programmed for the special needs of a horse. This program can be repeated or changed as needed. A display that is both clear and easy to use also provides an overview of the speed, distance, gradient and remaining time. The treadmill can help in motion analysis for medical issues such as lameness. It can also assist in performance physiology for sport horses or heart and circulation diagnostics. The treadmill is constructed of a sturdy galvanized frame. It has a low noise level and requires little maintenance (self-lubricating). The solid conveyor belt is wear and tear resistant. It is driven by a drum motor, utilizes various cushioning devices and slides over the gliding plate. The design offers optimal exercise for your horse in a medical sense since a steady step can be ensured. 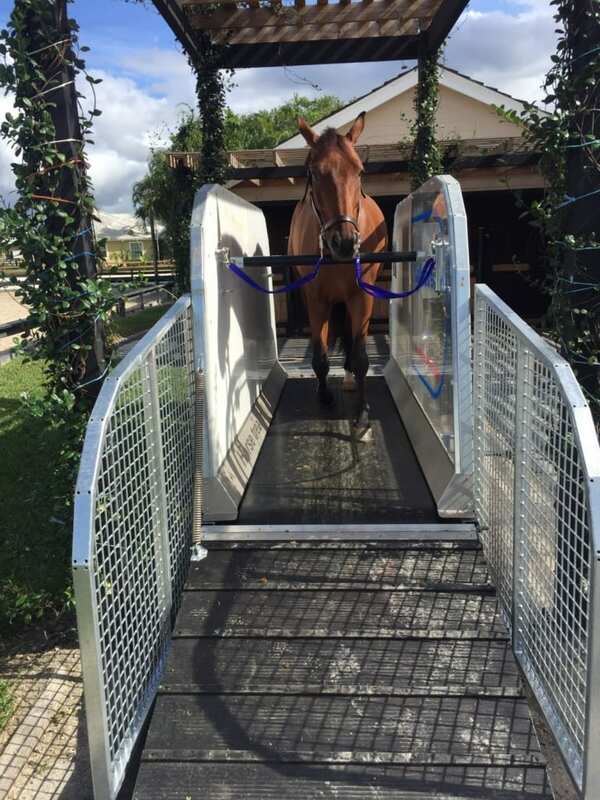 We offer a first class machine that covers all aspects of a modern horse treadmill. Years of experience and know-how in the field of horse training distinguish this horse treadmill.